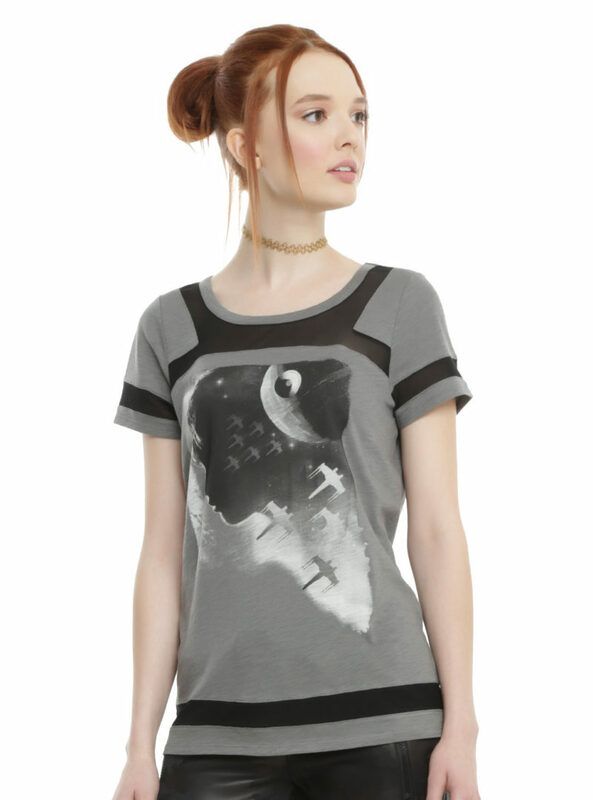 The new Rogue One collection has launched at Hot Topic! 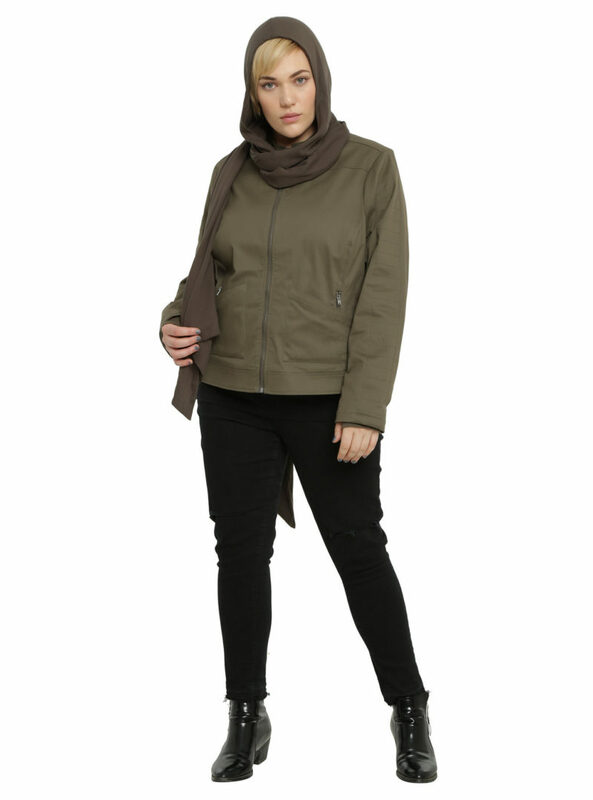 The collection features apparel inspired by the costumes and characters from the upcoming Rogue One film, and includes 5 women’s items which are available in both standard sizes and plus sizes. I’m excited to see a strong Rebel Alliance theme in the range, with several pieces inspired by Jyn Erso. Fans of subtle geek fashion may be excited to see that for the most part, there are no large Star Wars symbols or images used for the ‘everyday cosplay’ style pieces. 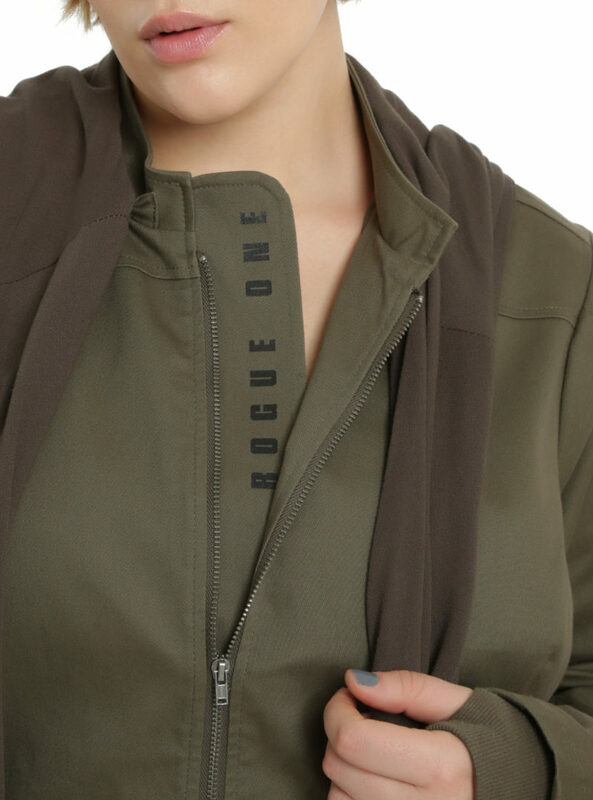 You have to look closer to spot the Rebel Alliance symbol on the buttons, or the ‘Rogue One’ text hidden behind the zipper flap on the jacket. 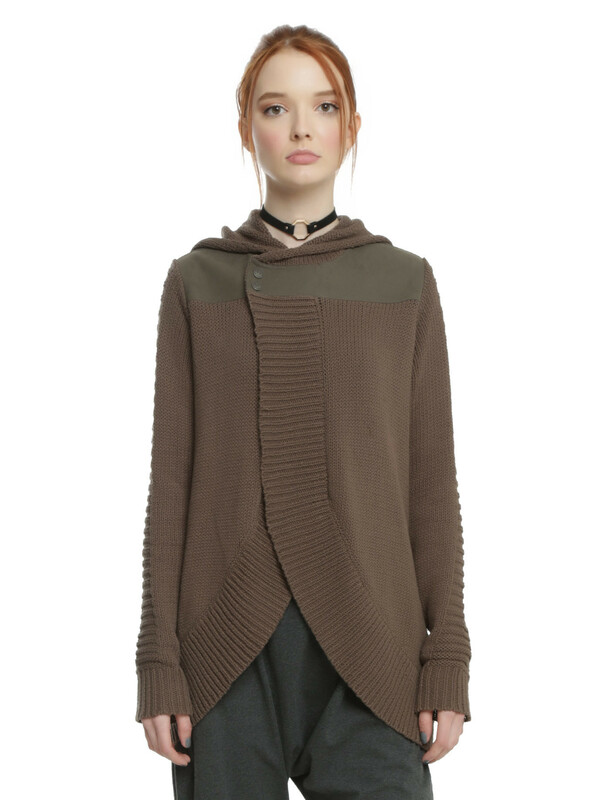 Though I must admit, the cold shoulder sweater feels more Rey inspired, than Rogue One. 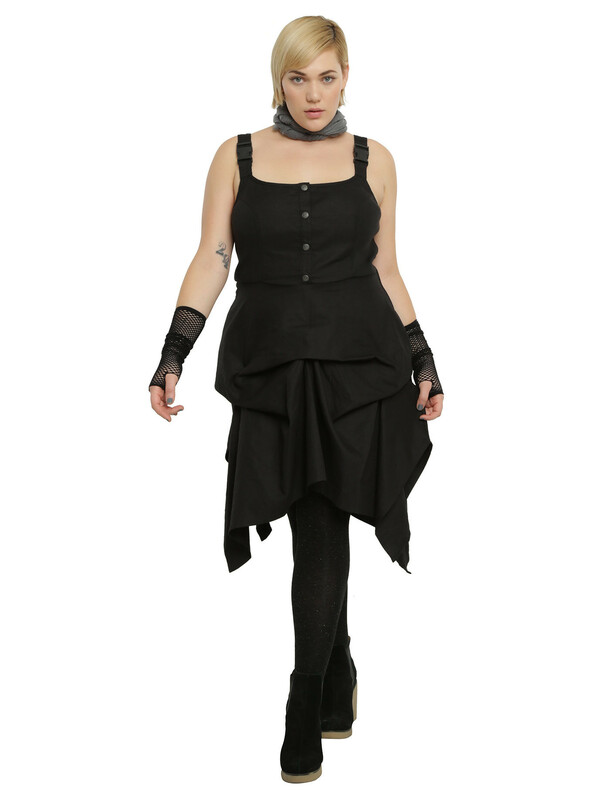 Prices range from US$32.90 to US$84.90 each, with sizes from XS to plus size 5 – Hot Topic can ship internationally. 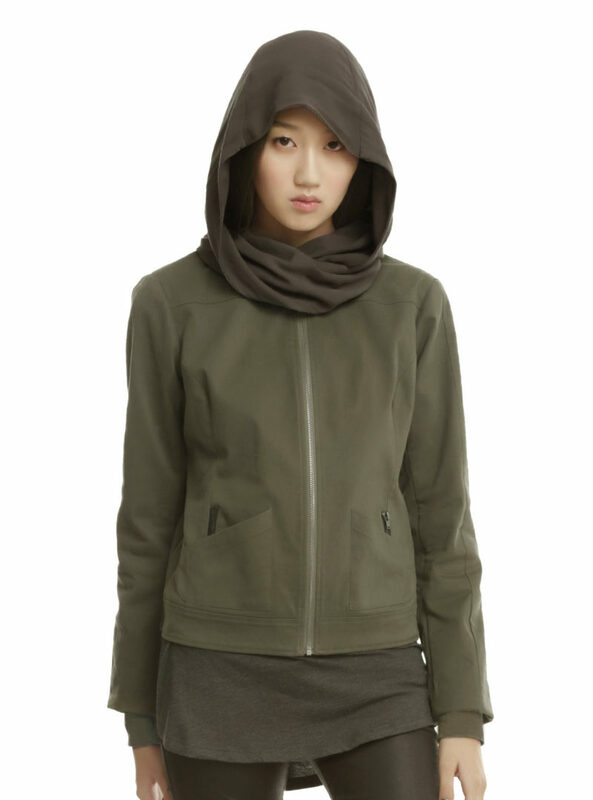 This sweater from Star Wars Rogue One is the perfect way to keep warm on all of your Rebel missions, and look good in the process! 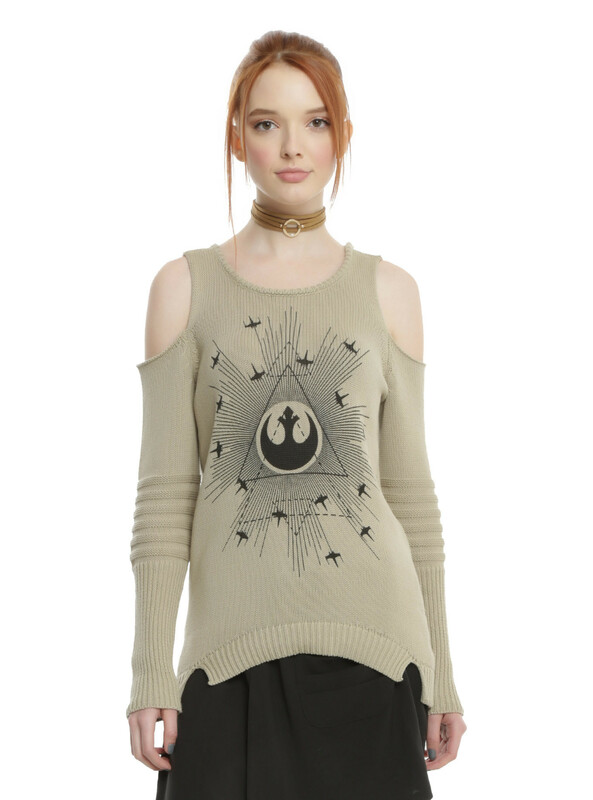 The beige knit sweater features the Rebel symbol printed on front with ships shooting out of the center of the print. The cold shoulder styling and slit hems give the sweater a lived-in, deconstructed feel, and the moto ribbing on the elbows elevate the look and give you a slightly tougher vibe. 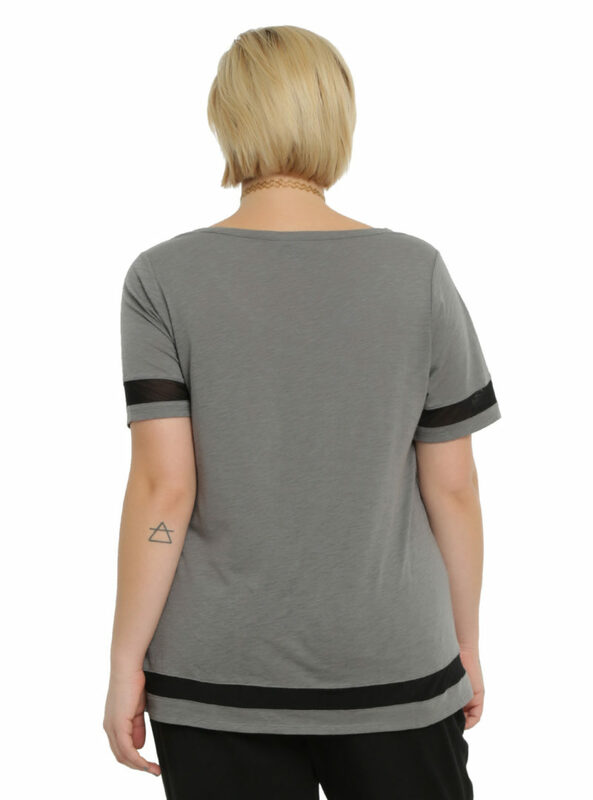 A slight hi-low hem finishes off the details. 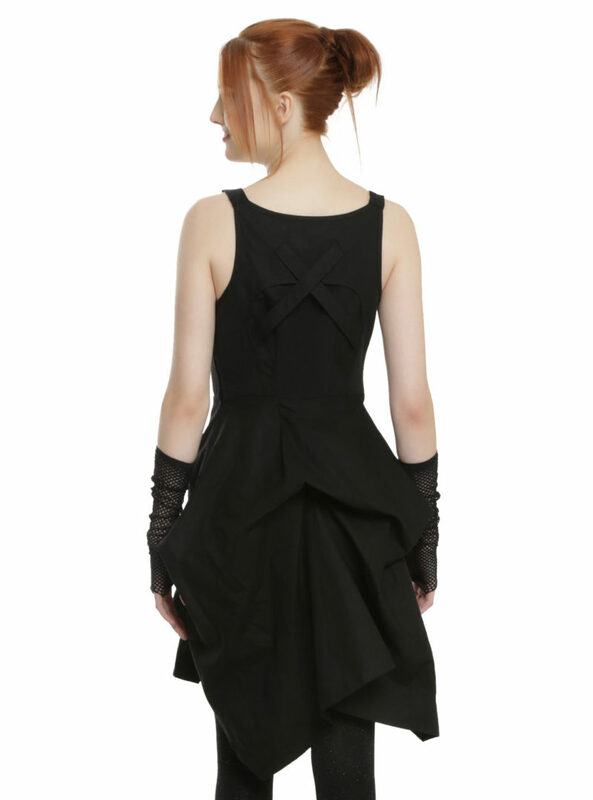 Get ready to soar in this dress from Star Wars Rogue One. 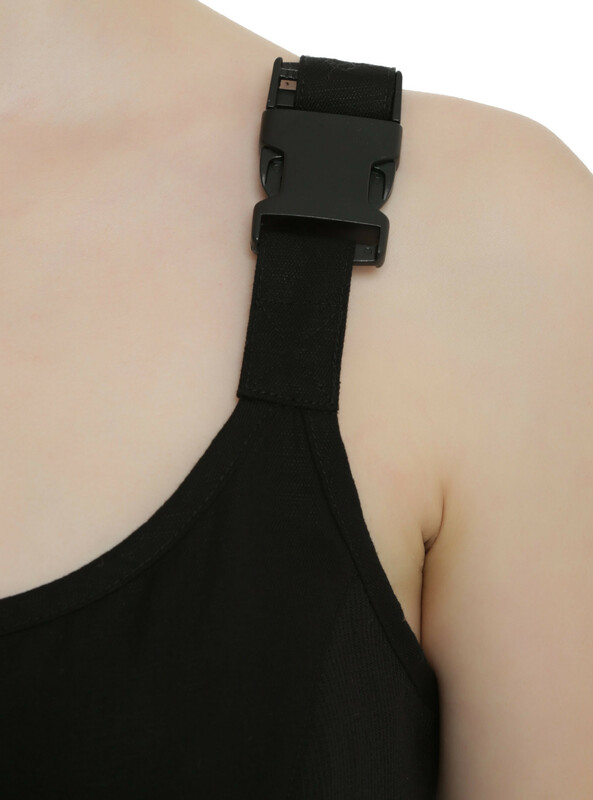 The black utilitarian dress is designed after a pilot’s harness, hence the plastic buckle and crossback straps. 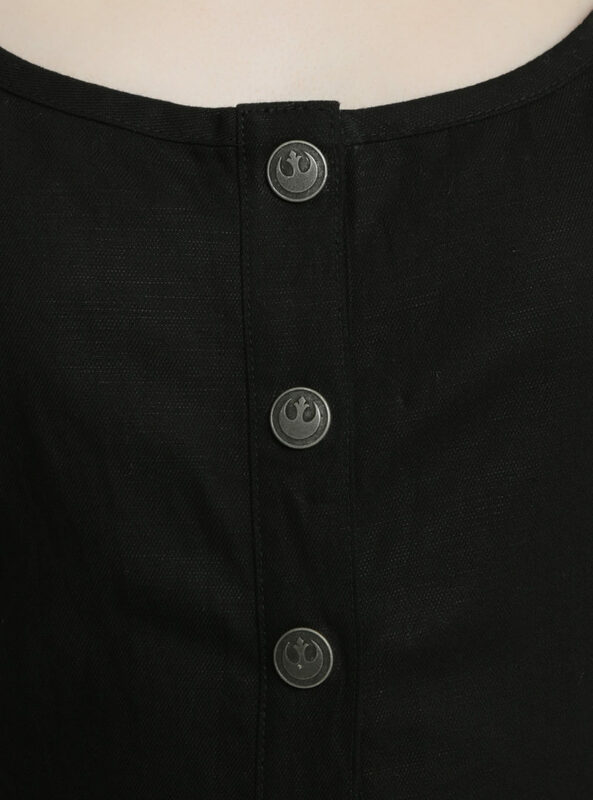 The tank dress features burnished silver Rebel Alliance branded buttons, so you never forget which side you’re fighting for. 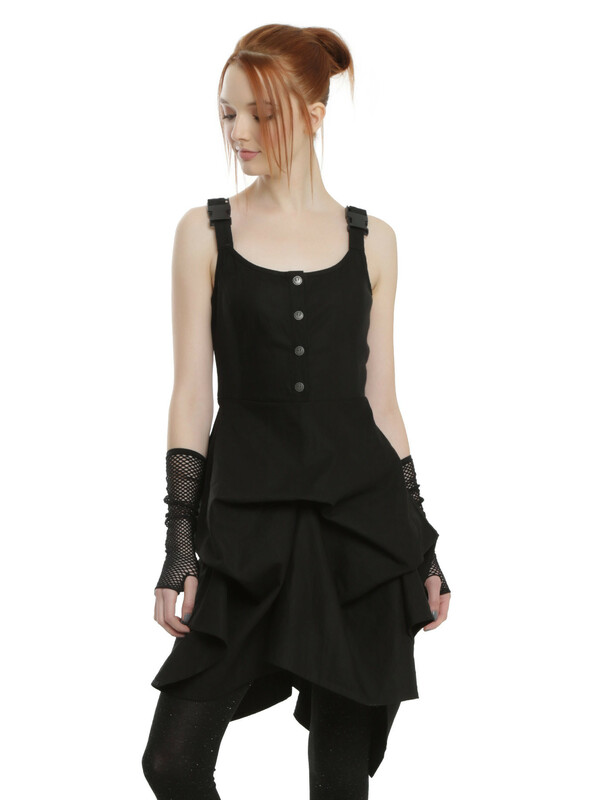 Ribbed side panels and a pick-up skirt give the dress texture and dimension and add a little bit of fashion to an otherwise simple design. 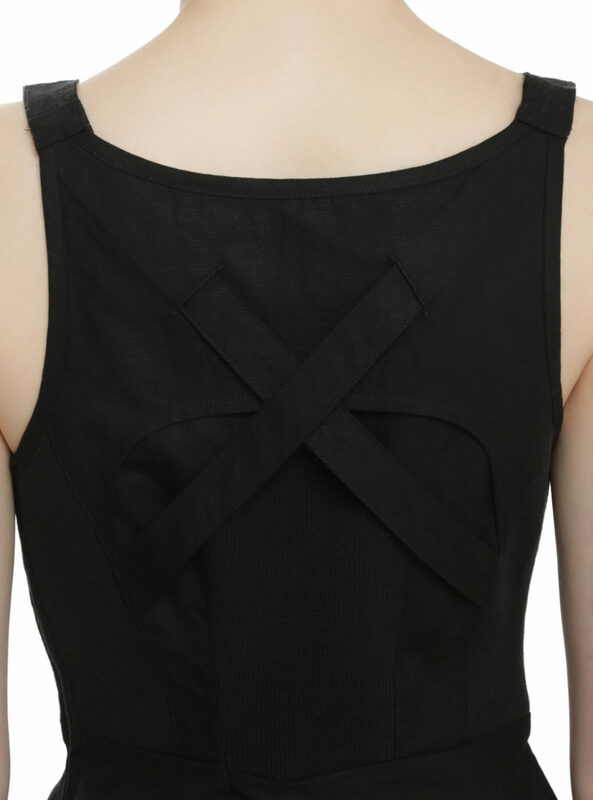 Side zipper closure. Keep yourself warm and protected on your adventures through the galaxy with this open cardigan from Star Wars Rogue One. 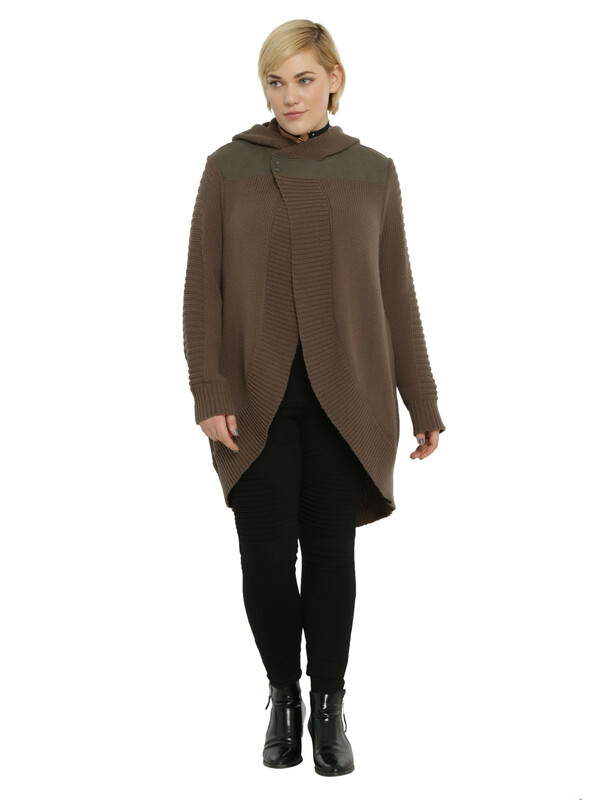 The heavy knit brown cardigan has a contrasting faux leather yoke that crosses over on the back panel to create a cool cowl detail. 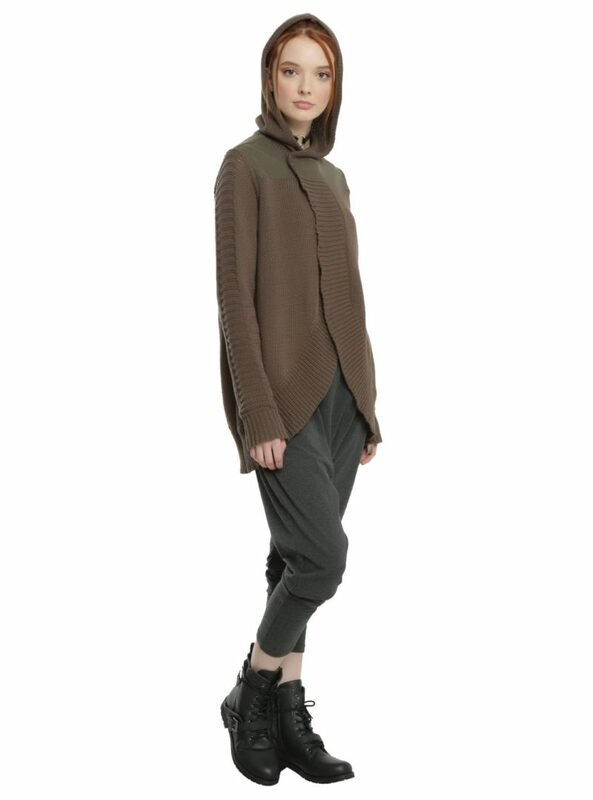 The ribbed sleeve panel matches the hem of the sweater perfectly and adds even more texture to an already texturized look. Wear the hooded sweater hanging open or snapped close with the burnished silver Rebel Alliance branded snaps. 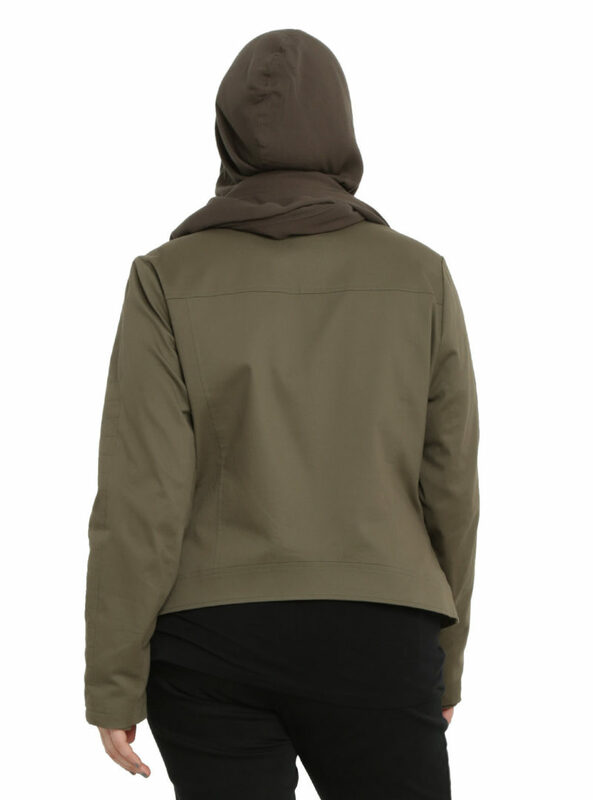 Anyway you wear this jacket from Star Wars Rogue One, you’re guaranteed to look amazing. 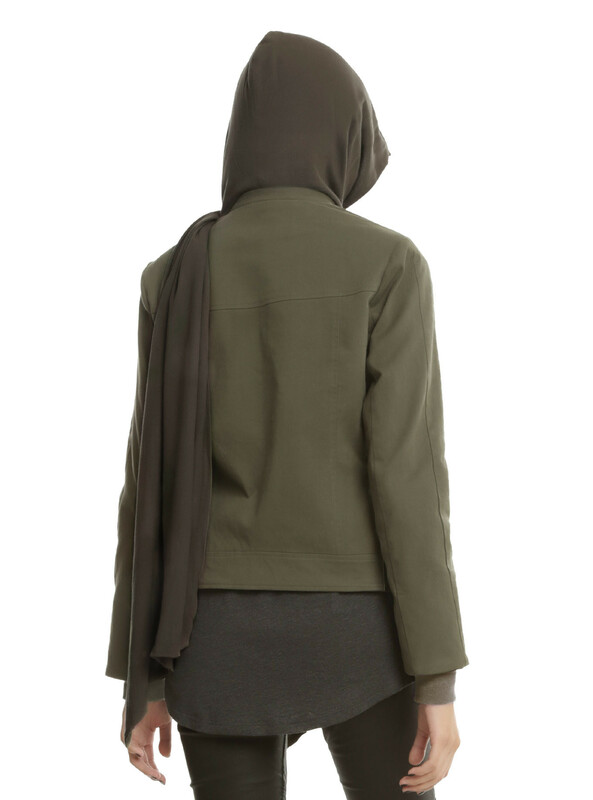 The olive green jacket, inspired by Jyn Erso, is made from a comfy washed twill and has a gauzy detachable hooded cowl with hidden zipper. 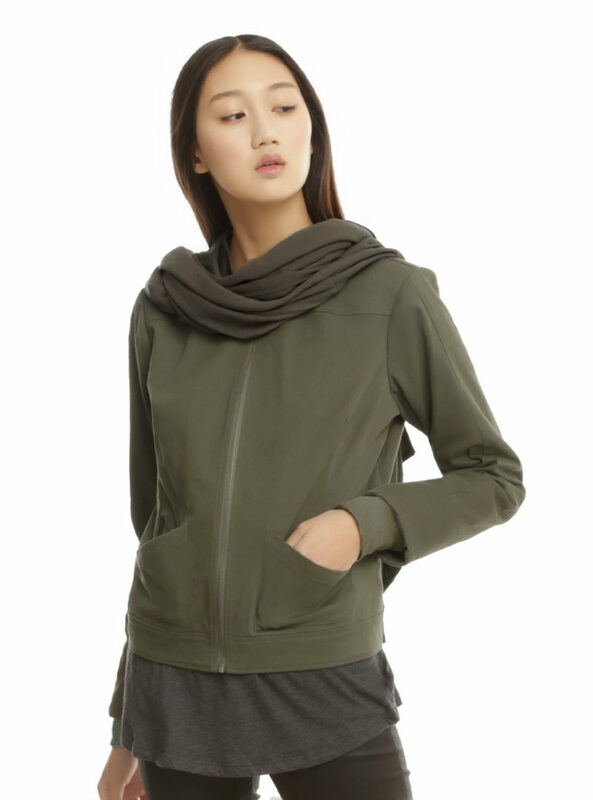 Wear it as a hood, a scarf, a hooded scarf – you have so many options! 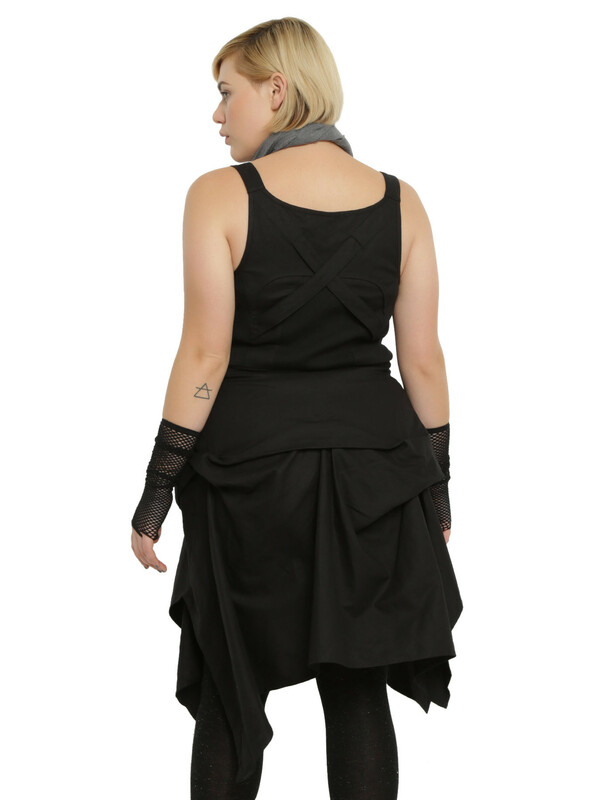 Double-layer hip pockets feature large slanted pockets and smaller zipper closure pockets to hide Rebel secrets from the Empire. 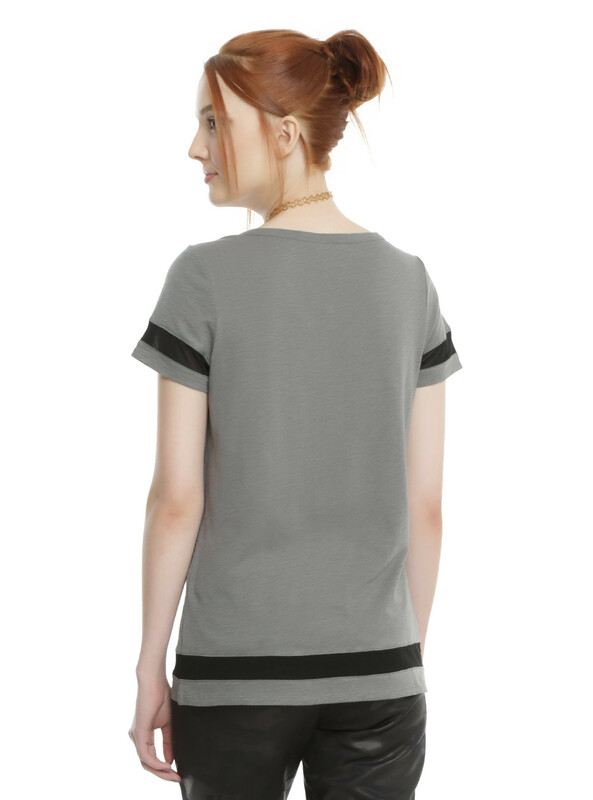 Even the stitched sleeve paneled sleeves have options; the double layer sleeve has thumbholes. Inside, the satin lining has an allover print of the blueprints to the Death Star. 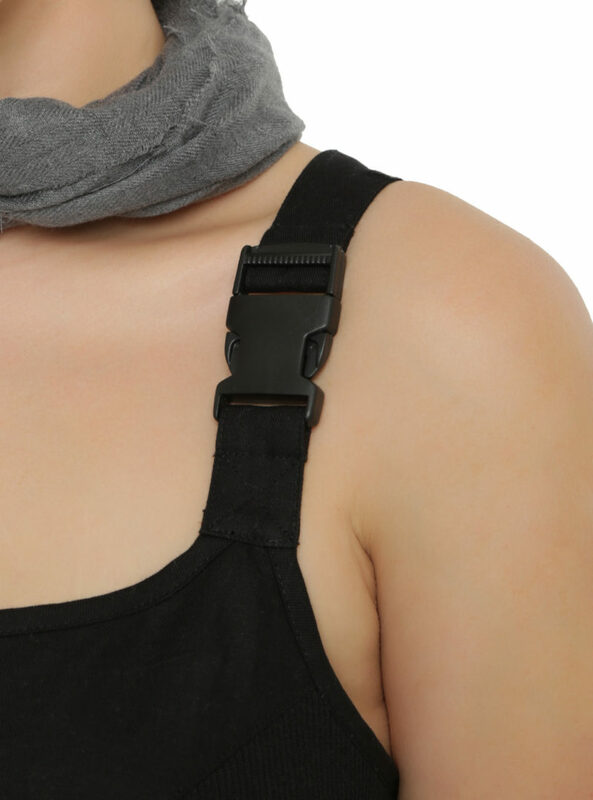 Front zipper closure. Blend in on your mission to steal the plans to the Death Star in this top from Star Wars Rogue One. 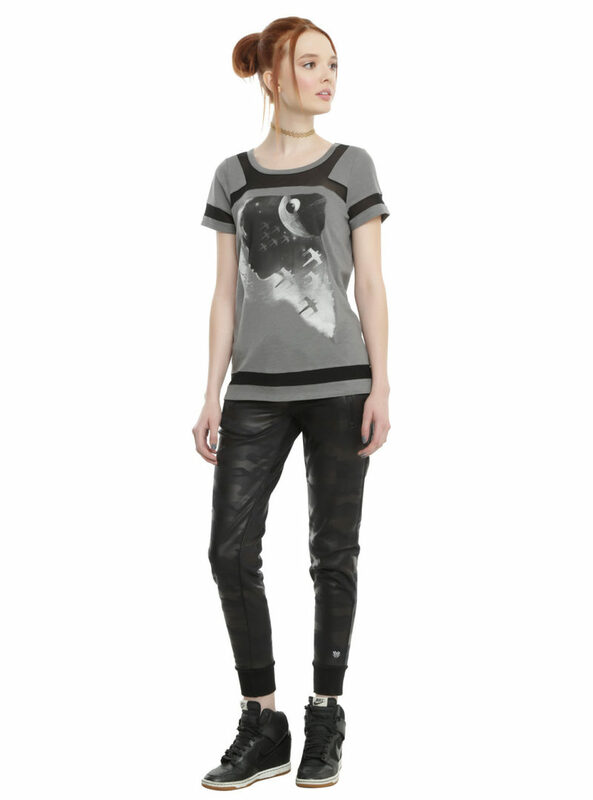 The heather grey top has a silhouetted image of Jyn on front with fighter planes and the Death Star in the foreground. 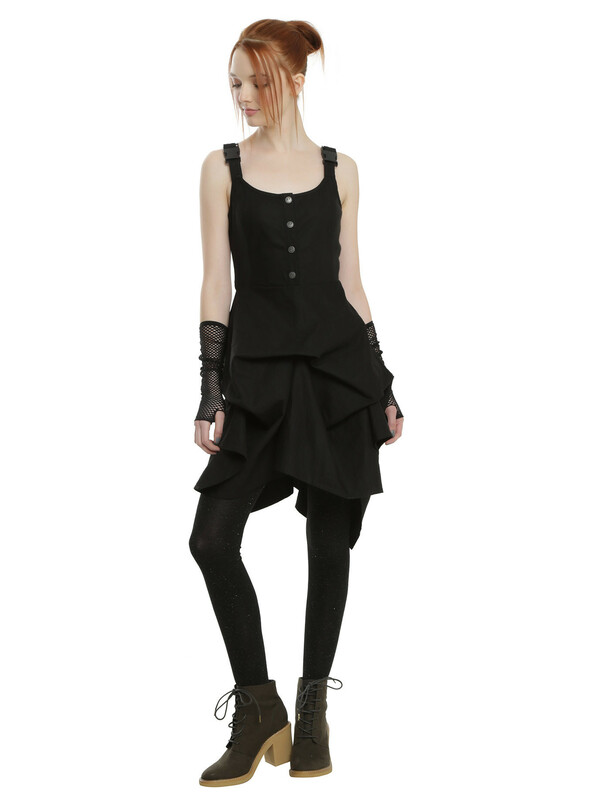 The top, inspired by pilot harnesses, has black mesh insets at the sleeves, yoke and hem. 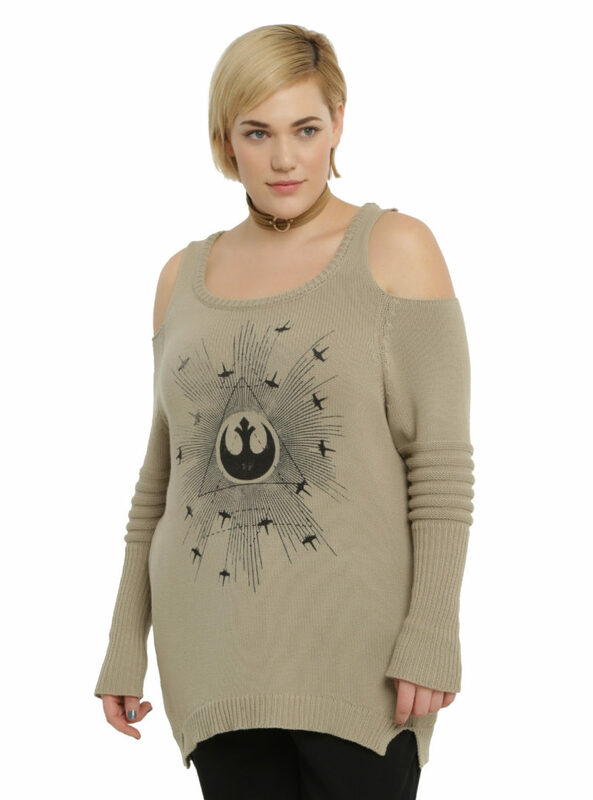 Next Post New Rogue One collection at Torrid!